It’s a little-known fact, that Joshua Tree Skin Care was brought back to Michigan from Joshua Tree, California, because the founder and co-owner, David, couldn’t imagine a life without the lakes and rivers of Michigan. No other state offered the J Tree crew the beauty, splendor, and recreational opportunities that all four seasons and so much water allows. As the brand grows, they continue to urge the use and protection of their great state’s waterways, which made them a pretty easy candidate for sponsoring September’s Wild and Scenic Wednesdays. 1. 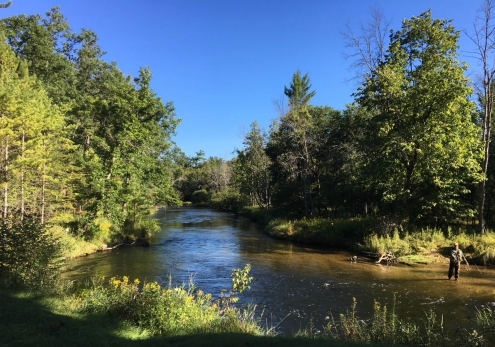 The Au Sable River, meaning “at the sand” in French, is considered one of the best brown trout fisheries east of the Rockies and has been designated a blue ribbon trout stream by the Michigan Department of Natural Resources. 2. In 1959, George Griffith founded the first chapter of Trout Unlimited on the banks of the Au Sable with the goal of working with state and local agencies to protect and preserve trout and trout fishing. Today, Trout Unlimited is a strong organization and a national champion of fish habitat conservation with over 300 thousand members. 3. The headwaters of the Au Sable is part of the Michigan Arctic Grayling Initiative, which aims to restore self-sustaining populations of the fish and re-establish Michigan as one of only two states in the Lower 48 where they naturally proliferate. 4. The Au Sable watershed provides habitat for bald eagles and the endangered Kirtland’s warbler—a bird whose infamy and recovery is fascinatingly outlined in public radio’s program “Radiolab” (“Oops” Season 8, Ep.1). 5. The annual 120-mile pro-am Au Sable River Canoe Marathon has been running for 71 years and is considered to be one of the most grueling over-night canoe races in the country. 1. The 66-mile Pere Marquette is named for Father Jacques Marquette, a 17th-century French Jesuit missionary who, in 1671, founded St. Ignace, the first European settlement in Michigan. 2. 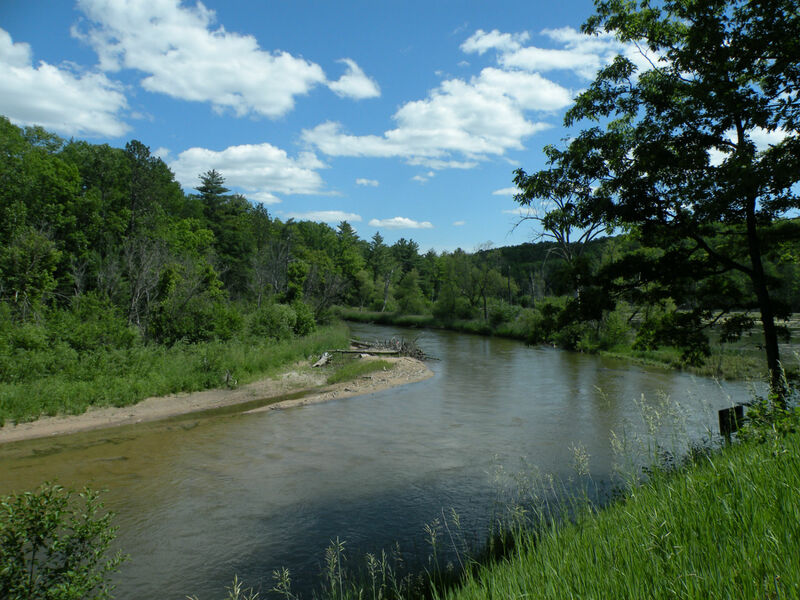 The river meanders through a portion of the Huron-Manistee National Forest, a million-acre non-contiguous tract of land that’s also home to portions of the North Country Trail as well as another Michigan Wild and Scenic River, the Au Sable. 3. The Pere Marquette is regarded as an exceptional cold-water fishery, known in particular for its abundance of rainbow trout and steelhead. In 1894, one of its largest tributaries, the Baldwin River, became the first public waters in the United States to be stocked with brown trout—a species native to parts of Europe but not North America. 4. The river has four main branches and more than 25 named tributaries, draining a watershed that totals nearly 800 square miles. More than 70 percent of that watershed is forested. 5. 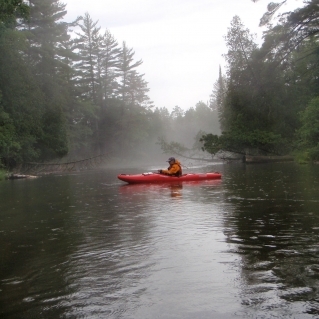 The Pere Marquette is the longest undammed river in Michigan’s Lower Peninsula. The stretch between Walhalla Bridge and Bowman’s Bridge is the most popular for anglers and paddlers, with the riffles of a section called Rainbow Rapids being a particularly beloved spot. 2. The area around Pine River is known as one of the best examples of the deleterious effects of the logging era in the U.S. Loggers used the Pine River’s steep sandy banks as “rollways” to move logs, which caused a major increase in amount of sediment in the river, changing flow patterns, temperature, wildlife, etc. 3. 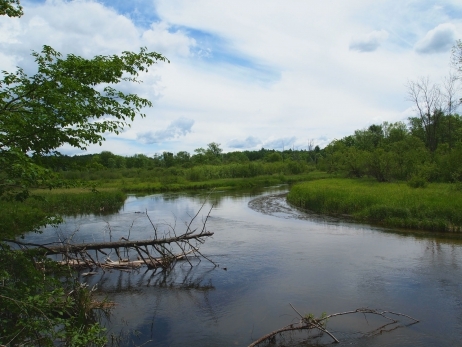 The removal of the Stronach Dam on the Pine River helped spearhead studies of dam removal as a useful tool for restoration of habitat connectivity and habitat conditions. This research has led to the removal of many other dams and improved fish hatcheries nationwide. 4. 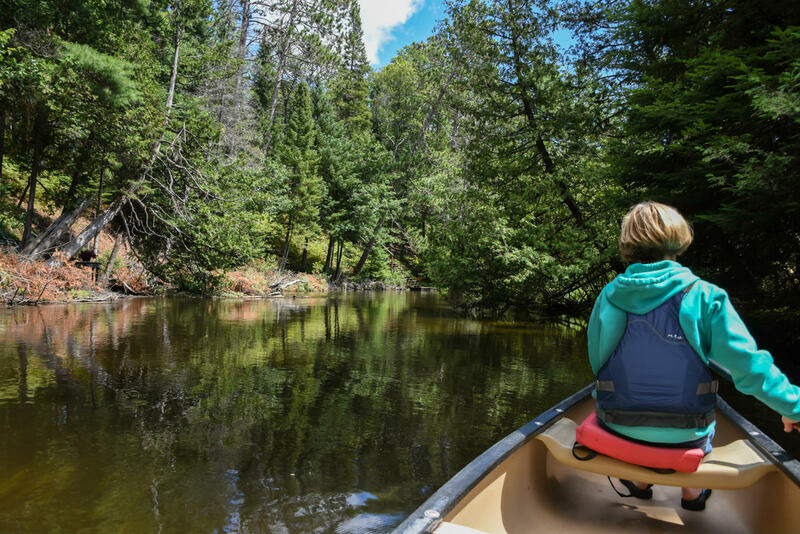 Home to over 90 archeological sites, the Pine River area shows evidence of human activity from the Paleo-Native Americans over 10,000 years ago. 5. 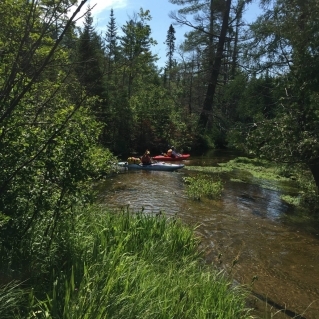 As part of its Wild and Scenic designation, The U.S. Forest Service has established a watercraft permit system on the Pine River that restricts watercraft use to 616 watercraft per day on weekdays and 240 watercraft on weekends in the summer, allowing river goers to enjoy the serene, unfettered wildlife in the area. 1. This 160-mile river, which slices southwest below the “pinky” of Michigan’s mitten-shaped Lower Peninsula, first formed after the last glaciers receded from the region roughly 10,000 years ago. The river still originates from deep glacial-deposited sands. 2. The Manistee was once regarded as one of the finest Arctic grayling fisheries in the world, before rampant logging in the late 1800’s destroyed Michigan’s grayling population. 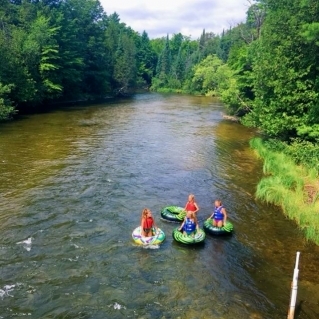 Today, the Little River Band of Ottawa Indians, descendants of the region’s original inhabitants, live on a 70,000-acre reservation along the Manistee River and are working with the Michigan DNR to reintroduce this species to Michigan rivers. 4. Thanks to conservation and restoration efforts, the river is still considered a world-class fishery. It’s known for excellent salmon and steelhead runs in the spring and fall and great angling for walleye and pike during the summer months. The section just below Tippy Dam, annually stocked with brown trout, steelhead and coho salmon, is said by the DNR to be one of the most popular fishing spots in the state. 5. The Manistee River Trail, a 23-mile loop that follows the east shore of the Manistee River for roughly nine miles, is a popular destination for day hiking as well as overnight trips. The trail features plenty of scenic vistas, a waterfall, and is also the site of the largest wooden suspension bridge in Lower Michigan.